IDC expects 2012 to show a year-over-year growth of 1.4% in the mobile phone market. That is the lowest growth rate in the past three years, despite record sales. 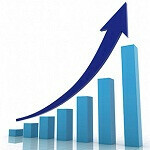 IDC forecasts that global smartphone sales will reach 224.5 million units in the fourth quarter of this year. That represents 39.5% annual growth in that segment alone, driven by you the consumer. However, it is down a bit from expected growth of a little over 45% and unit sales will be short of the 717.5 million mark. Smartphone operating systems will not see much movement at the top, but IDC predicts strong growth for Windows Phone 8, citing valuable experience learned by the carriers in offering an operating system whose user experience is an outlier in the smartphone segment. Android is forecast to be the leader in market share by a wide margin, with Samsung maintaining its position as lead manufacturer in that space. Expectations are that Android’s market share will compress from 68% this year, to about 64% in 2016. IDC made a point of noting that LG and Sony would be seen as resurgent brands for the year. iOS will distinctly be in the number two spot, and Apple’s popularity will maintain steady growth. The price point of the iPhone, however will present a hindrance to Apple from making deep inroads to emerging markets. IDC floats the notion that Apple will need to consider a less expensive iPhone model to offer, or volume will always trail Android handsets. BlackBerry and Windows Phone will be in the most competitive contest for third place. BlackBerry will hold on to third place in the near term, but growth will be relatively flat despite continued strength in Indonesia and South America. Windows Phone on the other hand, is expected to take third spot from RIM sometime next year, “with Nokia establishing its presence and HTC solidly jumping back into the race.” Windows Phone will extend that lead further into 2016, possibly gaining as much market share as 11%. That growth will be aided by continued manufacturer buy-in, particularly from Samsung, ZTE and Huawei. Linux was billed as a “dark horse” with K-Touch growing its volume and Haier introducing its first Linux powered smartphone. In addition, IDC will be looking to see what impact, if any, Samsung’s Tizen and Jolla’s SailFish will have on the market. Thanks to Nokia For Windows Phone sale. Such surveys don't hold any importance in the current pace of Market. It's predicting 4 years ahead and there the biggest mistake lies. Market changes at huge pace. Just before two years who could have predicted that MS is going to release such a promising OS, when market had only those old gen windows phones? I honestly think that the given changes don't stick to the timeline. Maybe this prediction come closer to truth in a nearby timeframe. But one thing must be kept in mind that, it is Running, not walking. The real chance for WP is actually WP7 and not WP8. I can't see WP8 to win more market share as there are only 2-3 models with OG CPUs. There are die hard WP fans that will stick with the platform no matter what but not much beyond that. Normal people will buy Android or iPhone when they look for a top phone. But with low end phones things are different. WP7 is smooth and people just don't care what OS is in the phone, they may not need lots of apps either and Nokia brand is still strong in new markets like Africa or Asia. I read that Nokia has plan to release new cheap WP7 devices for new markets and that is very smart move. Eh I think the iPhone is at its peak, in 4 years it will be just as popular as the Mac. If Microsoft plays its cards right they could take over 30% of the market. I don't think Windows will gain so much market share. And iOS..i'm not quite sure if it will gain 1%. I'm an Android fan and user but let's face it. Apple's growth depends on just one event in these next 4 years. If they release a good iPhone they will gain more than 1% because they have a well established fan base and there are still many neutral customers which chose Android just because it was a cheap phone that was more than enough for them (I do not consider them Android fans, i think if something really nice is released by Apple, Nokia, Rim they will migrate). But if they will keep making these incremental updates I think they will loose market shares. And Android will gain more and more traction, of course slower than before, but i think this will happen because starting next year we will already see entry or feature phones with 4.2 on them. And 4.2 is a really powerfull piece of software to have on a 50-100-150-200 dollars unlocked phone. Like people were saying before that they do not need a smartphone because they just make calls and send texts, now they will say why spend 700-800 bucks on an iphone when a cheap Sony for example offers me Android 4.2 which basicaly offers you more than iOS 6 in my opinion. I am aware of this. That's why I said that only starting next year we will see these 4.2 entry level phones. Maybe Q3 or Q4. And these GB phones will slowly disappear because thay will be replaced, not updated. Most of Gingerbread phones are in new markets where customer support are very poor and people there don't expect their phones to be upgraded. The only way for GB percentage to drop is people throw the phones and buy new ones. IDC is a liar. A paid company by microsoft. First time microsoft pay IDC when they launch the WP7 to create a hype but fail. I'm surprised that IDC/microsoft think can fool us twice. NO ONE WANT A WP PHONE. that wpcentral article was in august, these nokia or htc phones werent even out yet let alone wp8. you can scrap that article. the "wp8 will fail" article obviously debunked its own self with how well phones with wp8 are selling. microsoft has ALWAYS kept their numbers tight liped. yet they are still around making profit. you can scrap that article. if nokia and htc keep making phones that ppl like and MS brings out updates for their OS (one is coming very soon), then any educated person can see that their stock and sales will keep going up. and thats not even including any other manufacturer that might want to jump in the game. i think the 11% market share in the future is a safe % that they threw out there. but honestly i could see it being more like 15%. alot depends on how well the lumia 920T does in china. Which part of the 5 simple word you don't understand??? NO ONE WANT MICROSOFT PHONE. Microsoft even fake the people who line up see this: theatlanticwire.com/technology/2012/10/microsoft-f​​akes-excitement-its-surface-tablet-launch/58417​/ Don't think Nokia 920T could reach 15%. It would be go down to toilet too. Rebecca Greenfield, the so-called 'writer' of the article you linked, is the very reason I don't go to Atlantic Wire. Thats all fine and dandy but...... get the f****** apps in the store quick. These predictions are usually very inacurate. However I believe that iOS will gain gust a little more, Android will fall dramatically to about 40-50% and WP will gain at least 30-40% if not even more. Only BB is a big unknown. I agree. I know a lot of people who are getting tired of android and are looking at windows phone and (unfortunately) the iphone. Though I purchased my Galaxy Note 2 already, I can easily see Windows Phone gaining some serious market share after spending some time with the Nokia 920. That is one solid device. Who is going hold IDC accountable in 2016 for these predictions? Love to see both BB10 and WP 8 huge successes. Android and iOS are in no way threatened by them, but 4 OS options would be great. If developers are willing to bet on RIM and MS, then they will all be fine and profitable. Be interesting to see if any other OS even has a chance to make it out of the gates. I count 4 more in Jolla, Mozella, the Tizen product, and HP pushing open sourced WebOS. Seems unlikely to think more then 4 can get enough traction to survive, don't it?